Jim Riches, a retired firefighter from New York City whose son was killed during the 9/11 terrorist attacks, has slammed Rep. Ilhan Omar over her controversial remarks about the tragedy, and demanded an apology from her, The Daily Caller reports. "My son Jimmy was murdered by Islamic terrorists. Three thousand people were murdered that day. And Rep. Ilhan Omar said some people did something. That’s ridiculous. It’s outrageous. It’s a disgrace. She’s in the Congress of the United States", Riches said at the New York State Republican Party dinner at the Grand Hyatt, as quoted by the media outlet. 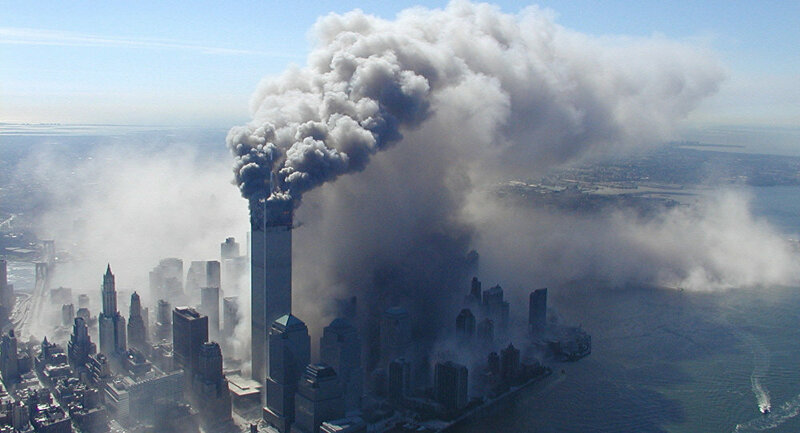 Earlier, US President Donald Trump tweeted footage of Omar describing the 9/11 terrorist attacks as "some people did something" during her speech at a function hosted by the Council on American-Islamic Relations (CAIR). The congresswoman later complained that she has allegedly "experienced an increase in direct threats on my life — many directly referencing or replying to the President's video", while House Speaker Nancy Pelosi claimed that Trump’s “hateful and inflammatory rhetoric creates real danger” and he “must take down his disrespectful and dangerous video". Riches, however, approved of the president’s tweet, arguing that Trump simply "told like it was. That’s what happened that day". The former firefighter also criticised New York Democratic politicians who either sought to defend Omar and her remarks or kept quiet when news about her controversial statements spread. "Donald Trump is 100 per cent right. They can’t deal with reality. [Sen. Chuck] Schumer, Nadler — all the New York politicians were quiet. They didn’t say one thing to [Rep. Rashida] Tlaib and them. They called us racists. I’m not a racist. My son got murdered. I did nothing wrong. I’m not a racist. Don’t call me a racist, because I criticised you, but she owes us an apology, and we’re gonna get it", Riches stated. In response to Riches' statements, a number of people stepped forward to express their sympathy to the grieving father via social media, and to slam Omar. — 🇺🇸Jason Coffey🇺🇸 (@akjc77) 17 апреля 2019 г. — K E (@ke8675309) 17 апреля 2019 г. @Ilhan is terrorist in congress, she must be thrown out of america to save future of america. — Meghraaj Singh (@bidhlan) 17 апреля 2019 г. Some, however, sought to use this opportunity to attack Trump over his alleged conduct during the 9/11 attacks. I would be more appauled that on 911 the first thing Trump said to media. "Well it looks like now that i have the tallest bldg. In Manhattan. Disgusting. — William Coup (@coup_william) 17 апреля 2019 г.